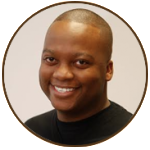 For several years Jamar Johnson has maintained an administrative position for a staffing firm in the Kalamazoo area where he has worked as a payroll specialist and human resource manager. He is a graduate of Kalamazoo Central High School and attended Columbia College Chicago where he received a bachelor’s in Early Childhood Education. Jamar has been a volunteer with the Youth Basketball Summer League for several years, in which he serves as administrative support and treasurer. He also serves in several ministries at Tabernacle C.O.G.I.C. where he is an active member and elementary schools in the Chicago area. It is one of Jamar’s goals to ensure young adults are equipped with the tools needed for job opportunities.